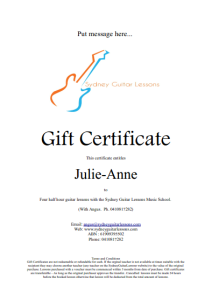 Open Guitar lessons voucher with the teacher of your choice. The recipient of the voucher should look at the website and decide which teacher would be most suitable for them then simply contact us for the teachers details. The teacher will also be given all the students details. Carlos loved the lessons!! Such a great present!!! Thank you Angus for all your help. I will come back to you if we want more lessons!! 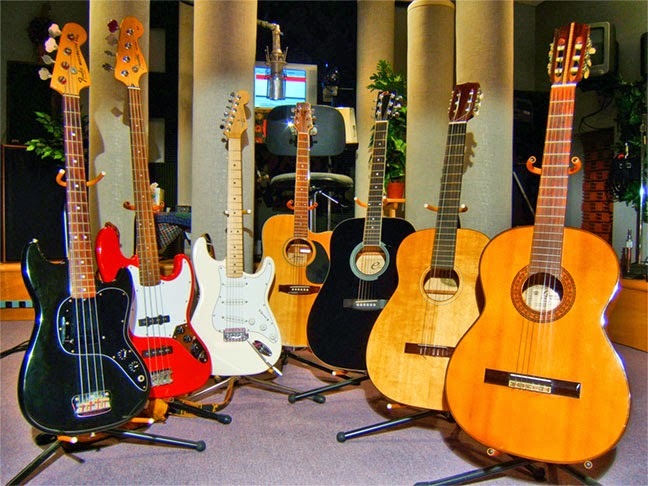 Sydney Guitar Lessons helped me find a bass teacher for my 11 year old son. The teacher is a great fit for my son and his needs/music interests. A positive experience all round. Hi Angus. The lessons with David are fantastic. Thanks for finding us an amazing teacher. My son Joe is havig a ball and is very energised and excited when we leave.